Carter’s Creek has a brand new oyster reef sanctuary through a partnership between FOR, Albert Pollard, Jr. and Kellum Seafood. Join Carter’s Creek neighbors at this evening celebration. There will be presentations from Chesapeake Academy, Albert Pollard, Jr., Tommy Kellum and FOR. 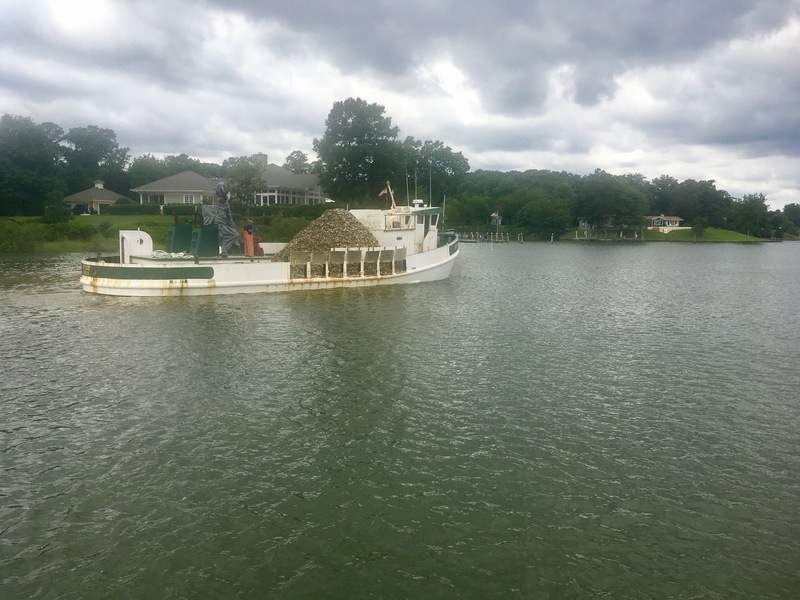 Leading up to this celebration, Kellum Seafood will be laying down recycled oyster shell on a lease bottom generously donated by Albert Pollard, Jr. Just upstream from Gaskin’s Wharf, this project dovetails nicely with Rappahannock Westminster-Canterbury. The restored oyster reef sanctuary will provide valuable habitat for fish and wildlife, filter and clean the waters of Carter’s Creek, and be a long term outdoor classroom for school groups in the region.